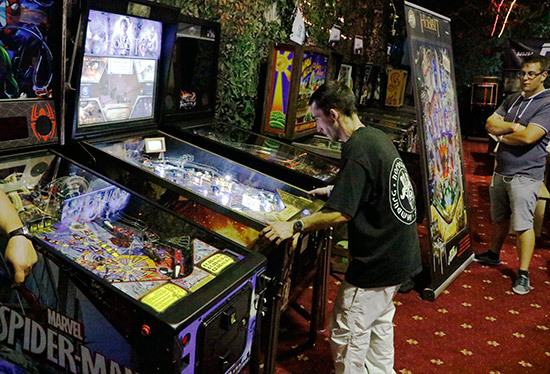 About one-and-a-half years have passed since Austria had a new premium place to play pinball. 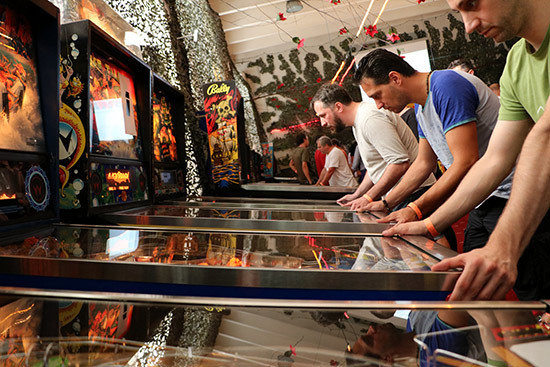 In the midst of rural Styria in southern Austria, a warehouse from local game machine distributor company Niegelhell became a pinball hotspot. 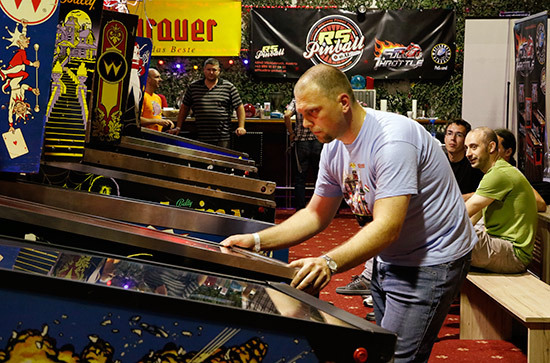 Around 100 machines were played during Austrian Pinball Open (APO) this year. Although the main hall is quite spacious, a lot of the machines were located in the upper floors of the building. 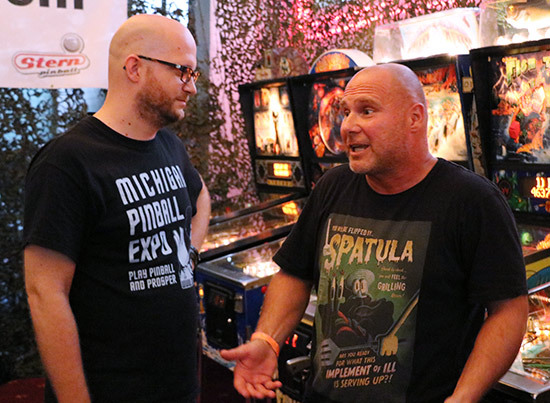 You can read more about the Hall of Pinball-Fame here and should consider going there at least once. This year was the biggest APO so far. 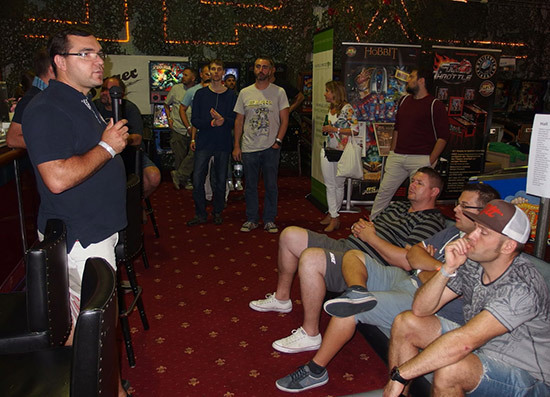 Over 100 people took part in the main tournament while everyone also had the option of competing in a side tournament (free of charge) where a bunch of classic machines of the likes of Firepower or Space Station had to be played. 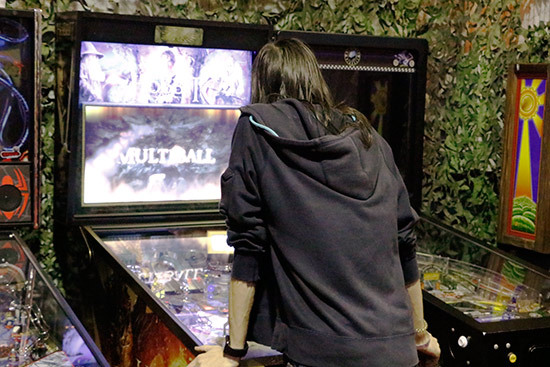 In addition to that, a warm-up tournament took place a day before (also free of charge), mostly catering for those who had a longer trip to the Hall of Pinball-Fame. Speaking of longer trips, despite the somewhat hidden venue, the APO had an international appeal, with participants coming not just from Austria but also Germany, France, Slovenia, Croatia, Norway, Hungary, Italy and even Australia. 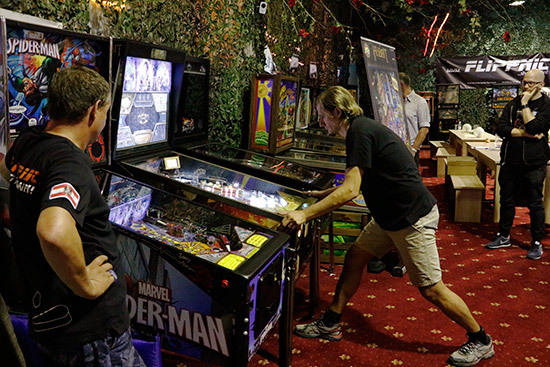 A major pinball tournament in Austria is always connected with the presentation of brand new machines. 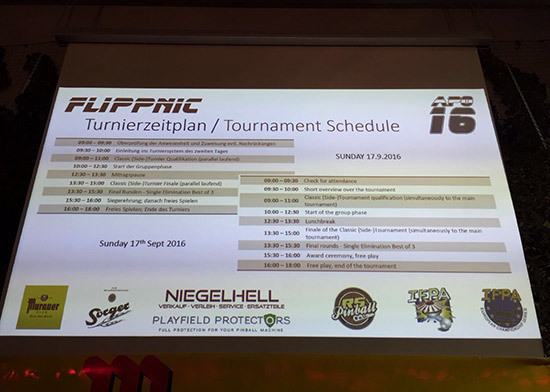 Last year, Full Throttle from Heighway Pinball was being shown and played, with Andrew Heighway also present at the tournament. 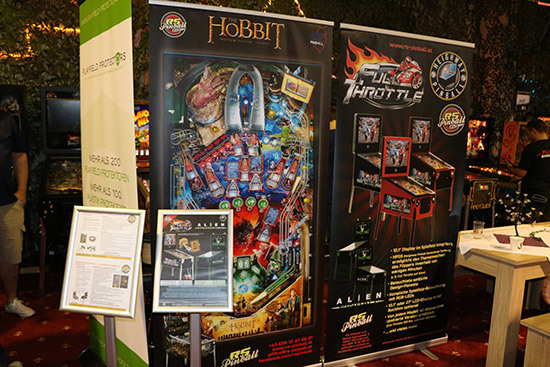 This year, next to a Ghostbusters LE and a Full Throttle machine with a 27 inch display, a The Hobbit table was set up which served as the game for the grand final. 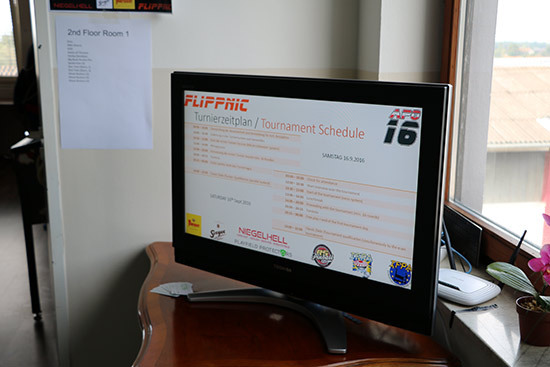 The machines and the organization of the tournament was provided by Styrian pinball club Flippnic, run by Sandra and Bernd Prucher, and the Austrian distributor companies Niegelhell (run by Siegfried Niegelhell) as well as RS Pinball run by Stefan Riedler, who was also in charge of hosting and presenting the tournament. There was also a raffle taking place with a great prize provided by distributor Niegelhell - a Johnny Mnemonic pinball machine. 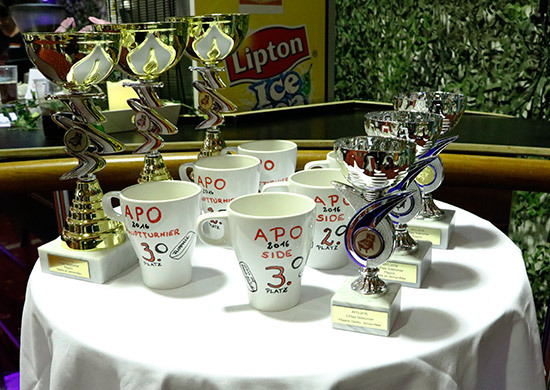 With 108 people taking part, it wasn't an easy task for the organizers to execute the APO smoothly and cater for every inconsistency and problem that arose during the tournament. It was even more remarkable then that everything worked out really well. Players were competing under the Swiss system, spread over 17 rounds during the first day of the tournament. The best 48 players then qualified for the group phase. 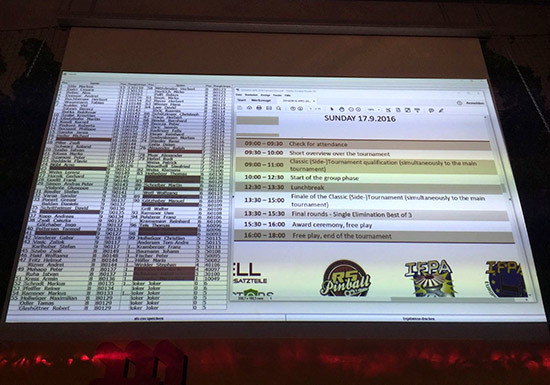 On the second day, those 48 best players were put into six groups with eight players each. In each group, every player had to play each other player in his or her group. The four players who won the most points in each group then advanced to the finals. 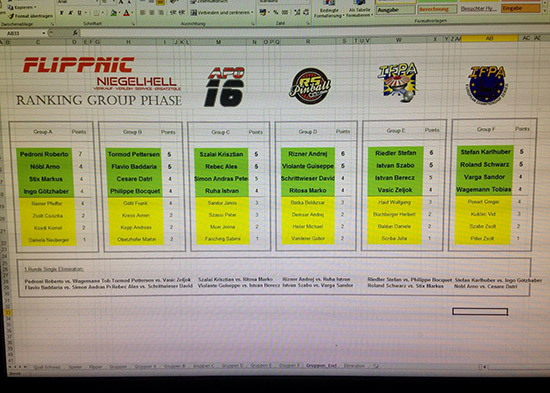 These qualifiers then moved on to the finals, playing within a single elimination system. Many of those games were tough matches which is no big surprise given some very strong competitors like Markus Stix (rank 29), Roberto Pedroni (rank 43), Krisztián Szalai (rank 82) or Cesare Datri (rank 100) were flipping it out. 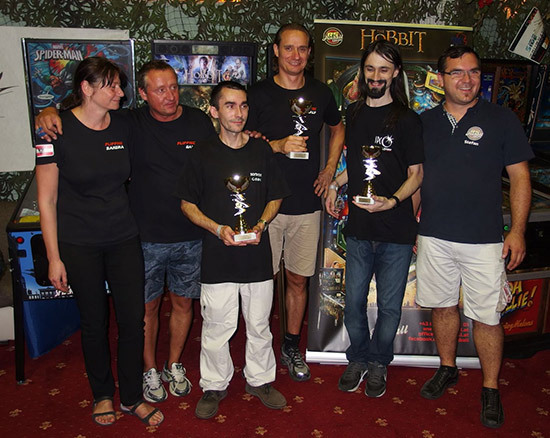 Three of those four top-100 players - Pedroni, Szalai and Stix - then also found each other in the grand final, and thus had once more successfully defended their great placements in the WPPR ranking. But who would be the big winner? Choosing the new The Hobbit game from Jersey Jack Pinball as the machine for the finals was an interesting choice. The game plays quite slowly and ramping up points means going the distance. A lot of endurance is needed to being able to constantly get those important multiballs that bring in the most points. With each ball, it is necessary to stay in the game much longer compared to many other pins. There was a very suspenseful atmosphere within the hall. 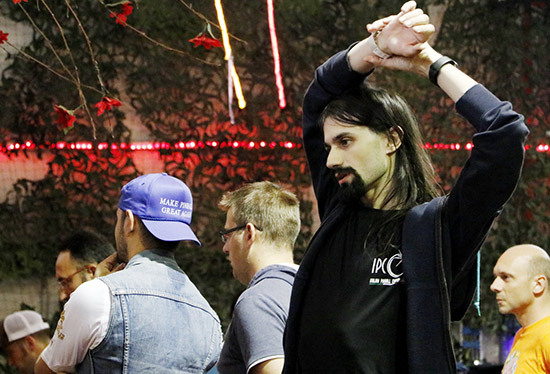 More and more bystanders gathered around the finalists to get a glimpse of this very important match. Roberto Pedroni (player 1) fell behind pretty soon, losing his first ball very early on. Krisztián Szalai (player 2) managed to play a very consistent first ball, followed by Markus Stix (player 3) who couldn't quite keep up with Krisztián. 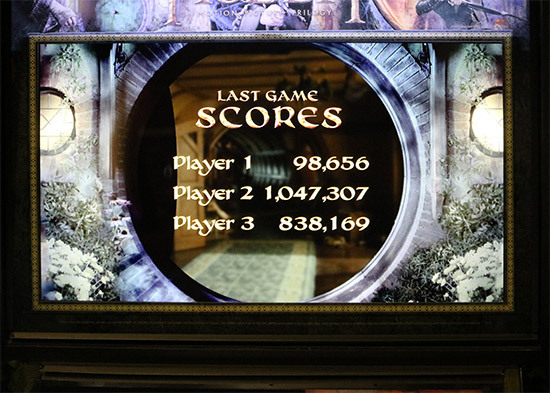 The second ball was the deciding factor: Krisztián Szalai played astonishingly, racking up over a million points which is an exceptional achievement on the The Hobbit table. By the way: He played his very first game of The Hobbit in the finals! Can you imagine? Krisztián's third ball wasn't quite so good but he still had a big lead over Markus Stix. While Markus played the last ball of APO 2016, the room was filled with even more excitement than before. He showed incredible talent, strength and endurance during this ball and thus came close to Krisztián's score. But finally Markus couldn't help but drain the ball due to a misflip caused by a - very human - decrease in concentration and energy after two long days of playing competitive pinball. 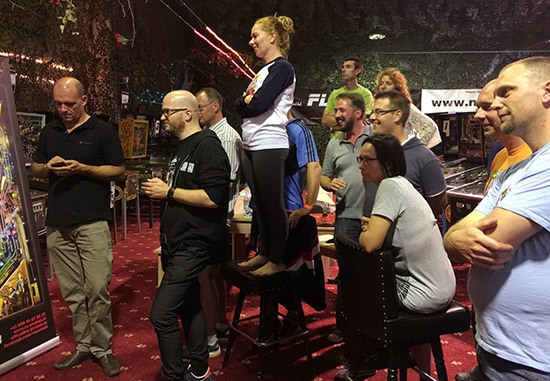 So, the Austrian Pinball Open 2016 really had a memorable final game and generated a lot of happy and exciting moments. That is why the organizers are already busy preparing their next tournament. Save the date: APO 2017 will take place from 15th to 17th of September.